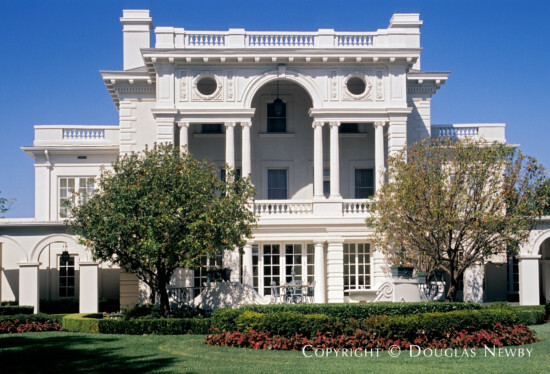 The home at 4101 Beverly designed in 1915 expresses the exuberant grandeur of Beaux Arts mansions. 4101 Beverly is still the centerpiece of Highland Park, across from the Country Club on Beverly and Preston. Italianate influence is seen in the colonnaded second story porch and entry and the flat roof lined with balustrades.